It was a dream just before I awoke this morning that set off this mornings reflection. I was at the office and was feeling stressed out. The matriarch of our company (family owned business) has been on a cleaning and organizing binge lately (in real life) and she ran across my filing system of folders scattered around the office. She politely asked me to clean them up (in the dream) and I got frustrated with her. Doesn’t she know I have too much on my plate already? I told her no, that I had too many other critical things going on that I needed to attend too. She gracefully suggested it wouldn’t take me that long but I still refused. Minutes later the Patriarch (her husband and owner of the company) came over and very simply said “about those files”. I grabbed them up in a pouty manner without looking at him knowing I was going to lose this battle. I then woke up with a sense of frustration, resentment, bitterness, distaste for my job and obviously recognized how my own desire for control was being exposed. Each day I say in morning meditation and prayer “your will not mine be done Lord” but then instantly begin planning out my day and setting expectations on the plans “I” make. He has saved us and called us to a holy life—not because of anything we have done but because of his own purpose and grace. This grace was given us in Christ Jesus before the beginning of time. There are many instances in the bible that speak to the need for dying to self, to surrender our plans, to be expectant on what the Father places in our path and quit pinning our well being on our plans. The need for self-reflection is so incredibly critical. But we must be prepared to change our attitude when God graciously reveals to us what He’s known all along. A man’s heart is wickedly selfish, prideful, arrogant, controlling and sinful. 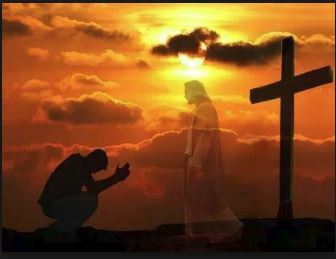 We must constantly be in a state of repentance and gratitude that Jesus paid the price that tore the veil and we are afforded the mercy to live for Him yet another day in spite of our evil nature that hates God and others. 20 Whoever claims to love God yet hates a brother or sister is a liar. For whoever does not love their brother and sister, whom they have seen, cannot love God, whom they have not seen. I am so grateful for the growing insight into the triggers that set my heart against God and others. Just as in the dream, our plans can be delayed or completely derailed by the actions and desires of others; but that does not give us liberty to cop a bad attitude. 9 Offer hospitality to one another without grumbling. 10 Each of you should use whatever gift you have received to serve others, as faithful stewards of God’s grace in its various forms. 11 If anyone speaks, they should do so as one who speaks the very words of God. If anyone serves, they should do so with the strength God provides, so that in all things God may be praised through Jesus Christ. To him be the glory and the power for ever and ever. Amen. Father God I thank you for the humbling, even through a dream. I could so easily claim “it wasn’t real” however I cannot deny how easily my frustration arises each day as my agendas are continually challenged by people, places and things beyond my control. Serenity will only come Lord when I step into each day being fully aware that this is Your world, and my life is to be surrendered for Your glory. Forgive me Lord for my well meaning yet selfish ways that so childishly continue seek to make me the center of my universe. I surrender this day to Your plans and purposes and ask for a continual attitude of gratitude so that my heart and motives remain pure for Your glory. In Jesus’ name I pray…. I've experienced a lot of pain and inflicted my share through a lifetime of selfishly pursuing all that this world has to offer for my pleasure and well-being. Why God in His infinite mercy chose to raise me up out of the pit of despair, depression, addictions and emptiness I may never know, but I'm now all in and passionately in love with a Passionate Savior. If you are struggling with addictions, resentments, depression or any of life's struggles, know there is a Healer, and His name is Jesus. God Bless. This entry was posted in bible study, conviction, love, Recovery, The Cross and tagged forgiveness, humility, jesus, repentance, selfishness. Bookmark the permalink.